As requested, selected starship and technology intelligence reports transferred from the Central Records Archive located at Starfleet Intelligence headquarters. Per regulations all information in this document is considered classified and is not to be shared with individuals without prior clearance. You may now use this PADD to review intelligence information obtained from the major powers of the galaxy translated into standard Federation English for your convenience. To review, click the button at the top of your PADD. Further database structure and usage information can be found in the database guide. Star Trek Intelligence is proud to announce a brand new web site, ST-I Wiki. ST-I Wiki is the companion wiki to Star Trek Intelligence that will allow visitors to freely edit any of the information found on ST-I, or add additional information that has not been included on the main site, without the need to editor review. As with ST-I, ST-I Wiki will remained focused on creating the most in depth source for Star Trek starships and technology; it’s our hope that the two web sites will share the best and most accurate information between them. Why is ST-I Wiki being created? Over the years visitors like you have asked for many changes to the information contained on ST-I. One of the most common requests is to add non-cannon starships or split refit classes. ST-I Wiki should give visitors a free hand to create the web pages they want to see along with adding numerous small details not covered in ST-I’s briefing format. Finally this should improve the overall responsiveness to user submissions to ST-I and eliminate lengthy delays. We hope you enjoy this new resource from ST-I. 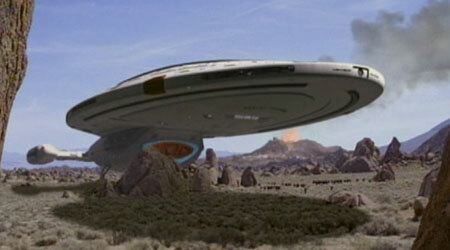 There are times when a starship maybe required to land on the surface of a planet, and return to oribit. Such situations include emergency landings, inoperable transporter systems, and extended repairs when space dock is not available. 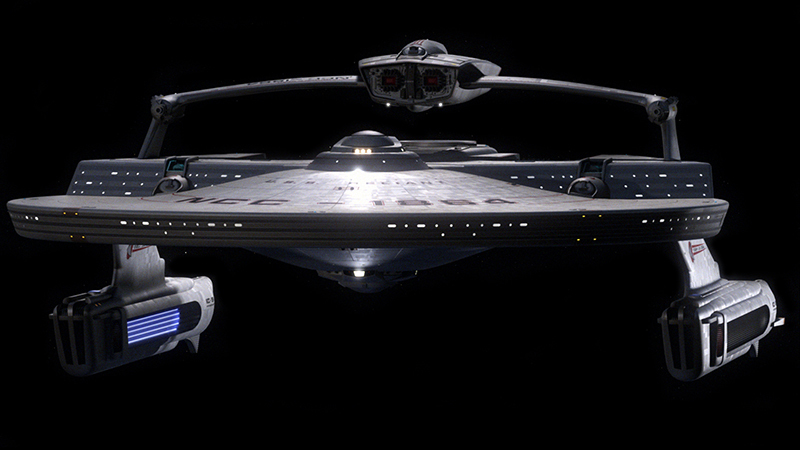 Currently only smaller Federation starships, such as the Intrepid and Defiant classes, are equipped with landing systems. After entering the planet Â’s atmosphere the ship will extend landing struts from the bottom of the secondary hull that are capable of supporting the entire weight of the starship. When a landing site is selected the starship comes to zero forward velocity and descends vertically. The final decent is slowed by the ships n avigation thruster, such that it comes to a soft landing on the surface. Landing a starship is not a recommended procedure as stresses can be extreme and unpredictable on a starship when entering the atmosphere. Use of transporters or shuttlecraft are the preferred method to reach a planetÂ’s surf ace. All st-intelligence.com content, Copyright © 1998-2009 by Star Trek Intelligence [ST-I] and Brandon Bausch. All rights reserved.